Mitch Curtis has always been in the business of helping people. 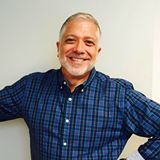 After graduating from the Yale University School of Medicine with a master’s degree in health administration in 1988, he spent more than 20 years working in the medical field for organizations like the University of Pittsburgh Medical Center and the Bill Clinton administration, where he developed programs for children with special needs. Always looking for a new challenge, Mitch discovered that he had a passion for residential real estate in 2004 and has been helping people achieve their housing dreams ever since. Originally from Brooklyn, Mitch works with a wide array of clients, from Millennial-age renters and first-time homebuyers to investors and retirees. He’s also an experienced remodeler with a keen eye for design, having built two homes from scratch. Mitch believes houses speak to people—and therefore tailors his approach to each individual client’s needs. Customer service above all else. When showing buyers properties, he helps them evaluate the home’s functionality; for a couple with young kids, for example, he makes sure there is ample outdoor space for the children to play. Meanwhile, when working with sellers, he is an expert problem solver who knows how to assess property value, leverage social media to attract buyers, and get clients the highest sales price in the shortest amount of time. Above all, Mitch enjoys getting to know clients personally and doesn’t believe in taking a transactional approach. Anyone who has worked with Mitch knows he’s committed to providing the highest quality service to his clients. In other words: he doesn’t simply stick a for-sale sign in your front yard and wait to collect a paycheck. Named one of Washingtonian’s Best Real Estate Agents in 2015 and Northern Virginia Magazine’s Top Real Estate Agents in 2016, Mitch specializes in working with luxury homes.